* Text on a path. 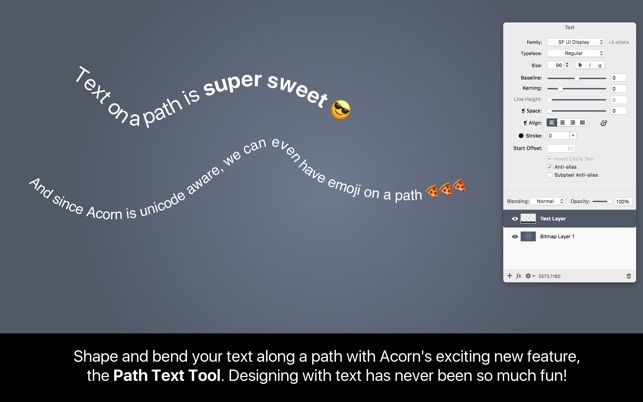 Create a path with any of Acorn’s shape tools, then add text! 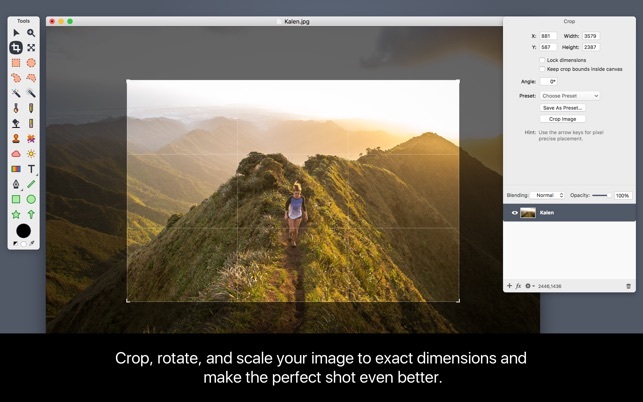 * Enhanced clone tool to clone across layers, images, and even clone group or shape layers. * Smart layer export, Acorn’s alternative to slicing, has a new configurable palette to export your layers from 1x-5x. * Boolean shape operations include union, intersect, difference and exclude. Acorn’s offers extensive online documentation, tutorials, a forum, and responsive support staff. You don’t have to learn by yourself. If you ever run into any issues, please let us know by writing to support@flyingmeat.com. 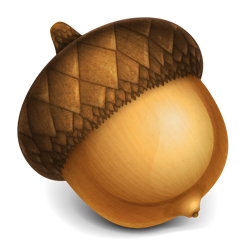 If you like Acorn, we'd love it if you could take a moment and give it a nice review. It helps Acorn get noticed, which helps everyone in the long run. Perfect for my needs and the price! I am a very light user of graphics editing tools in general, and for years I used a really really old version Photoshop I purchased as a student. It was fine for my uses, mostly annotating screenshots, but heavy handed and too expensive to get a newer version. When I got a new computer my ancient version of Photoshop was finally too old, so I shopped around. Acorn is a lightweight and perfectly priced app for my needs, and I barely needed to adapt to the keyboard command differences. 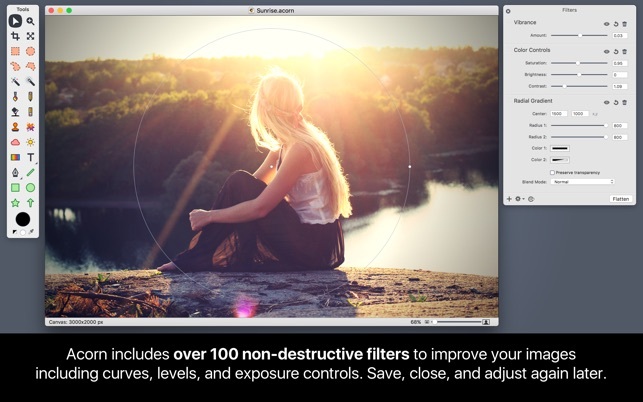 Highly recommended for recovering Photoshop users who just don’t want to take out a mortgage to edit a few images. Like many of you I can’t afford a subscriptipn for Photoshop, so I have sought out an alternative. 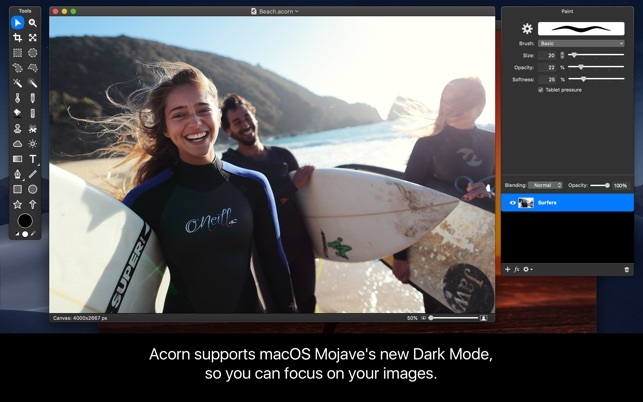 I’ve tried Pixelmator and Affinity, and while each have some great features, I have found Acorn has the most Photoshop-like feel and keeps the interface simple. Performance is great and everything works as I expect. A minor complaint is that while Acorn can open Photoshop PSD, it cannot save this format like Affinity and Pixelmator can (via Export). This makes collaborating on a file more difficult unless everyone is using Acorn. 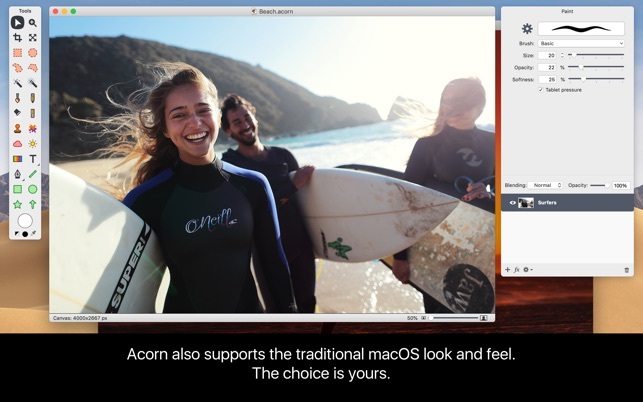 Acorn is an adorable, adaptable, powerful little graphics editor that is pretty comfortable to use for anyone who's familiar with Photoshop or GIMP. 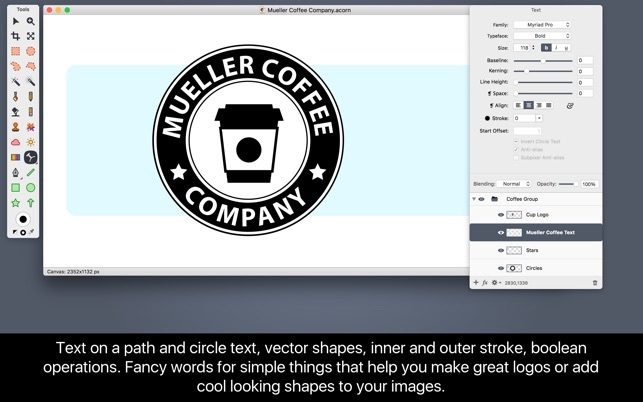 The interface is clean, it looks native to the Mac, and I'm able to alter, create, and collage graphics for presentations not only quickly; but with the kind of control I really want to have! 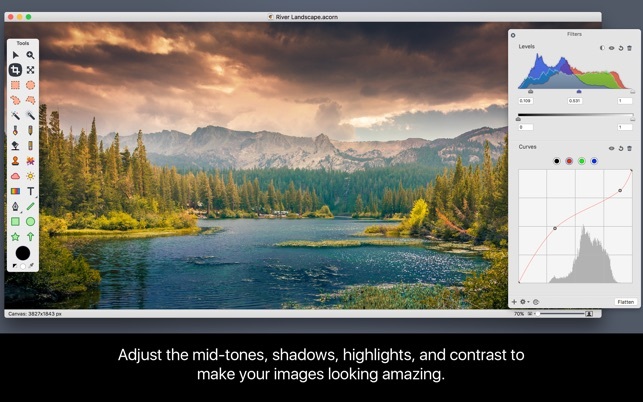 My custom backgrounds get noticed, my smoothly blended pictures and clean, clear graphics get compliments, and all thanks to this inexpesive but handy little App! © 2019 Flying Meat Inc.